Adventist La Grange Memorial Hospital issued the following announcement on March 26. When it comes to fighting or preventing cancer, what you eat can be just as important as what you do. In this ongoing series, AMITA Health Cancer Institute’s clinical dietitians recommend a new recipe each month that helps boost your immune system, enhancing the overall effectiveness of your treatment plan. Even if you do not have cancer, these delicious dishes will help you feel your best. 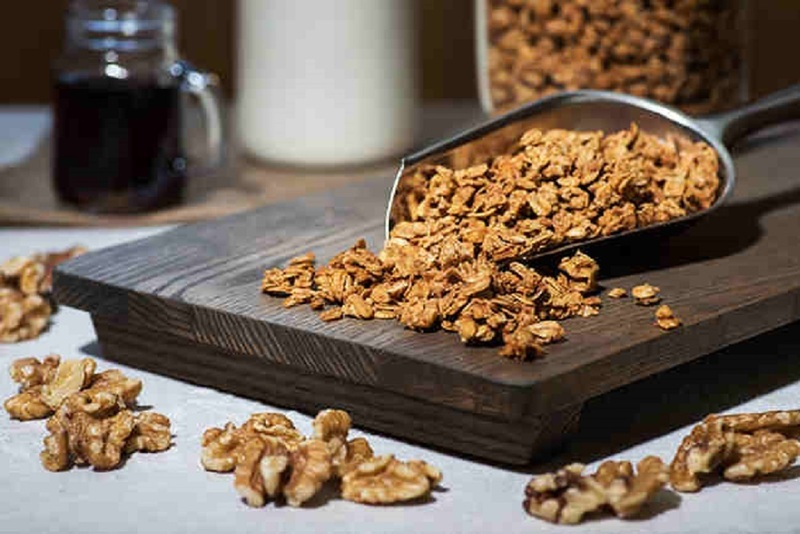 A nice big bowl of crunchy, home-made granola is the perfect way to start your morning, especially if you've got your health on your mind. You might think of granola as a heart-friendly breakfast, and it certainly can be, but this recipe is packed with cancer-fighting whole grains and other antioxidant-rich foods. Best of all, this recipe from the American Institute for Cancer Research (AICR) makes 10 servings — that's breakfast for two for a workweek. Like most whole grains, oats aren't just a good source of fiber, they're also packed with magnesium — and magnesium deficiency can be a risk factor for some cancers. The crunchy walnuts in this breakfast treat contain high amounts of polyphenols and phytochemicals, along with other potentially protective compounds including vitamin E compound, omega-3 fatty acid, melatonin and phytosterols, which are known to lower blood pressure. Rounding out the superfood snack are dried cranberries, boasting phytochemicals of their own along with a healthy dose of vitamin C.
Preheat oven to 300 degrees. Lightly coat baking sheet with cooking spray. In a large bowl, combine oats, flour, walnuts, cinnamon and salt. In a separate bowl, whisk together maple syrup, oil and vanilla. Add to oat mixture, stirring well to coat. On a large baking sheet, evenly spread mixture, then bake for 30 minutes. Remove the tray from the oven and stir the granola, breaking up any lumps. Return to the oven and bake for an additional 20 minutes. Remove from oven and allow granola to cool completely. Store in an airtight container. Diet is a cornerstone of integrative oncology, a new approach to cancer treatment that supplements traditional therapies (i.e., chemotherapy, radiation, etc.) with a regimen of exercise, lifestyle modifications and stress reduction. If one thinks of cancer as a weed and traditional treatments as the “weed killer,” integrative oncology focuses on optimizing your body’s “soil.” By strengthening your immune system, integrative oncology helps your body naturally fight the cancer. This eases your symptoms, helps prevent recurrence and improves your long-term quality of life.